The passing of parts of the Traditional Plan has awoken a slumbering giant. Regions that no one considered “progressive” have amassed open letters with significant signatories, purchased local media ads, and written legislation in order to denounce the Traditional Plan. The following is a constantly-updated list, so come back if you find something that isn’t here. We are all indebted to Julie O’Neal, Executive Assistant to the Bishop in the Desert Southwest Annual Conference, for collecting the majority of the below letters. Thanks Julie! 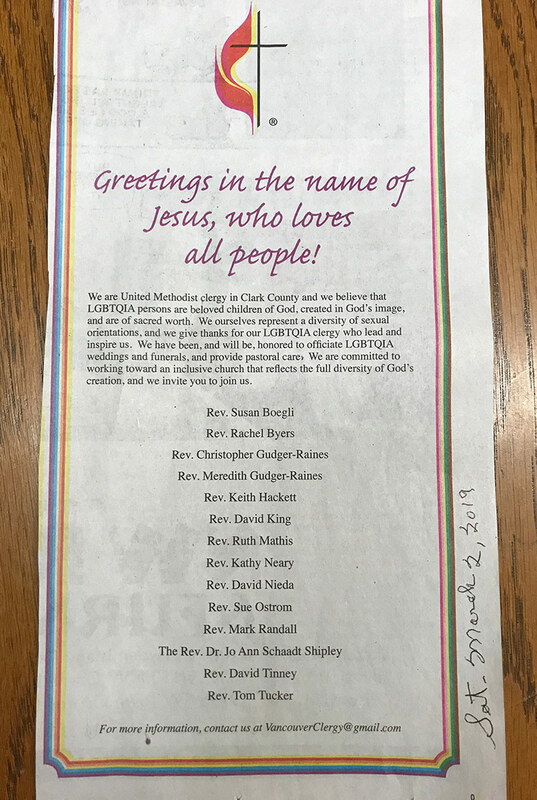 In order to reach those outside the church, some regions opted to purchase local media ads or send in group letters to the editor. 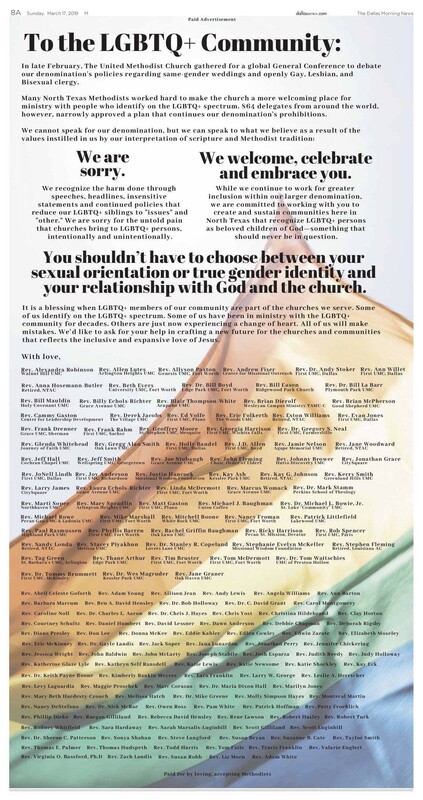 2- Michigan General statement (see document) This also ran as an ad in 6 newspapers across the state on March 17: Ann Arbor, Detroit, Flint, Kalamazoo, Grand Rapids, Oakland County, and Muskegeon. The following official regional bodies have issued responses denouncing the Traditional Plan’s effect in their regions or their areas of supervision. Legislation submitted (and models for others) for annual conference consideration in May – July 2019. Jeremy, what you are witnessing is the response of the outraged center of the UMC. An olive branch was offered at General Conference to traditionalists in a desire for unity and peace. The response was not just to keep the rules in the 2016 BOD but to add more punitive language, basically taking the olive branch and hitting all of us over the head with it. The landscape and feelings of the middle is very different than it was a month ago. For Traditionalists, the One Church Plan was no olive branch. And that was said clearly and consistently during the entire Way Forward process! Problem is nobody took us seriously. 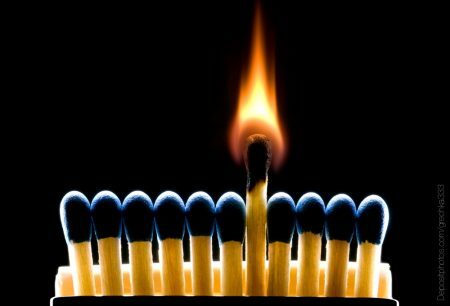 Our beliefs are as important to us as your beliefs are to you. Progressives are now saying that they cannot live with the traditionalist plan. Well traditionalists could not live with the One Church Plan. Once church leadership endorsed the One Church Plan in the face of everything that had been said by traditionalists, there was no going forward as an intact denomination. Some churches are going to leave, whether that’s a majority/full conference or individually. The remaining UMC won’t be able to keep their current churches going, so there will be consolidation. My home church is not likely to survive losing 10% membership, which is what I think is the current track. Pastors overall trend slightly more liberal than the members, but with the consolidation that won’t be a huge issue. Younger pastors (and retirement aged ones who lean progressive) will be the ones to jump. Apportionments are overall going to be higher, because you won’t have as broad a base (and the base will be certainly much older) for medical benefits. That means less money going towards missions, etc – which is a main driver of bringing in new (young) people to the denomination. So the churches will slowly fade. The church, the real church, is better without progressives. It is better to stand on the Word of God than to stand in sin to be accepted by a culture. I fail to understand how districts and jurisdictions can openly defy the Discipline and decisions of the General Conference and wonder why enforcement language is needed on any major issue of church law? 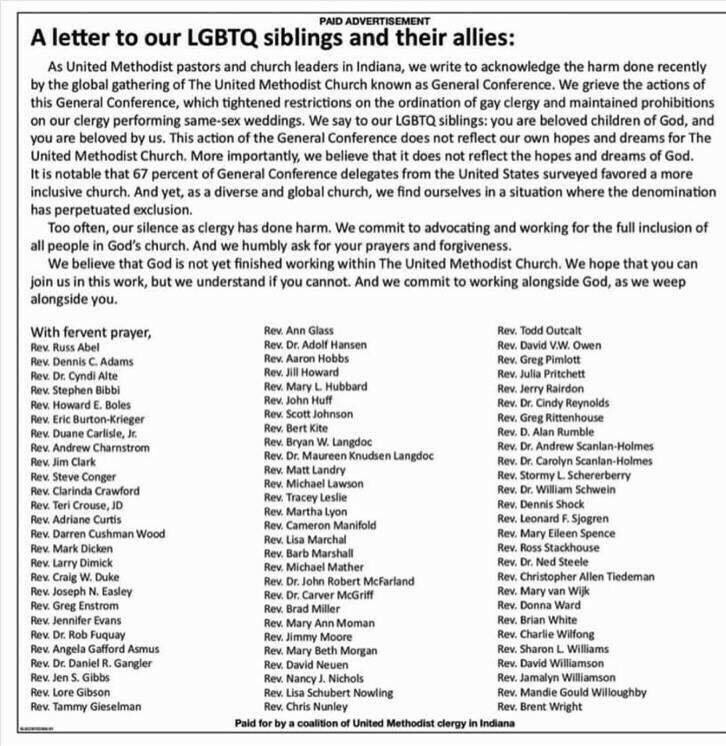 Homosexuality is not my issue but United Methodism is trying to stand for everything but hence stands for little of substance. I followed GC closely and prayerfully and I saw nothing but anger, discord, false stereotyping, and attacks not only on issues, but on character. A wrong decision may have been made, but if so it is the same wrong decision made by Eastern Orthodoxy, Roman Catholicism, and most Protestants outside the mainline protestant churches outside North America and Europe, and the wrong view of Christian’s for 2000 years of tradition. Does the same fury and attacks apply to all those Christians as to traditionalist United Methodists? Civility is over and trust is broken beyond repair at this point. What a witness to the world! Re: Roman Catholicism, even the current Pope has made statements that run counter to the current law of his church. And per their belief, he has a straight line to God. Wow, Maybe it’s time to move our pledges to churches in in the Great Plains or Upper New York conferences. At least until our progressive conference gets around to doing the same thing. A bishop that doesn’t quote the Discipline properly, should probably not be a bishop. It does NOT say, “homosexuality is incompatible with christian teaching” it says the practice is. The distinction is not that subtle. A bishop should know better. So you think that as long as LGBTQ+ folks are celibate there’s no problem with our denomination? Did you know that there are more references to homosexuality in the Book of Discipline (2016) than there are in the Bible? Be careful with that line of reasoning. The Bible may not mention homosexuality as much, but it is more condemning of it than the book of discipline. It condemns it straight to Hell. Bless you, brother – I can only pray that God will help you to open your mind and your heart. Both seem to be closed. Bob Farr, Missouri Conference bishop, has stated he will be a compliant bishop and we will be a compliant conference. Of course, you were looking for the heresy and schism, right? 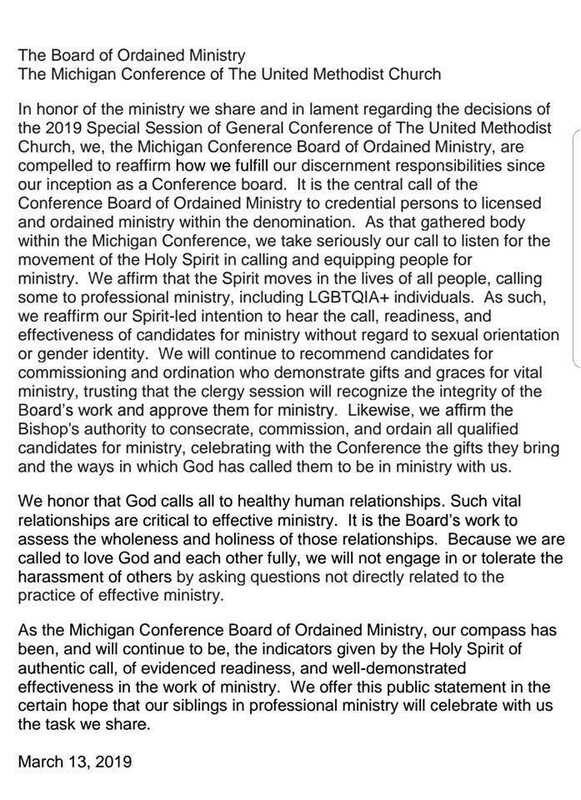 My pastor has stated publicly that he disagrees with the GC outcome, but that he has made an oath to the UMC and will abide by the Book of Discipline. My church isn’t interested in taking a stand, they just want to keep their head down and assume all is fine. I’m not playing those games, and expect to be in a more outspoken church this summer. Time will tell if I’ll remain a Methodist. I am standing up for what I believe, and expect better than I’m seeing from those around me. May I add that anti Semitism is also deeply Traditional as well? It waa only recently that the Jews were absolved by the institutional Church of killing Christ. This is an ignorant inflamatory statement. The Traditional plan was the only BIBLICAL plan. After fifty years of ministry in the church I love, I will be attending another denomination that maintains Scriptural integrity on this issue when I fully retire. My hope for 2020 is that those of a different opinion leave to form their own denomination. But I don’t expect that to happen. The fighting will continue and saving souls will continue to be dwarfed by this struggle. The vote did maintain Scriptural integrity. So if you are leaving due to the vote, you need to examine Scripture. However, if you are leaving because of leadership allowing it to get to this position, I sympathize.